1. There isn't any combo more appropriate for summer than DJ Khaled and Drake, whose "To The Max" is filled with super groovy instrumentals. 2. "When we're dancing, I'm alright," belts Lorde on her ethereal jam "Perfect Places" — that pretty much sums up the young pop star's essence. 3. We finally have confirmation of SZA's album, whose track list announcement came with a slinky, vulnerable new song called "Broken Clocks." 4. Electro anthem creators Major Lazer grabbed J Balvin and Sean Paul to meld their respective Colombian and dancehall sensibilities on "Buscando Huellas." 5. With Ty Dolla $ign, Chris Brown, and DJ Mustard at his side, Meek Mill exhibits his soft side on “Whatever You Need” — "Cuffin', I've been cuffin'." 6. 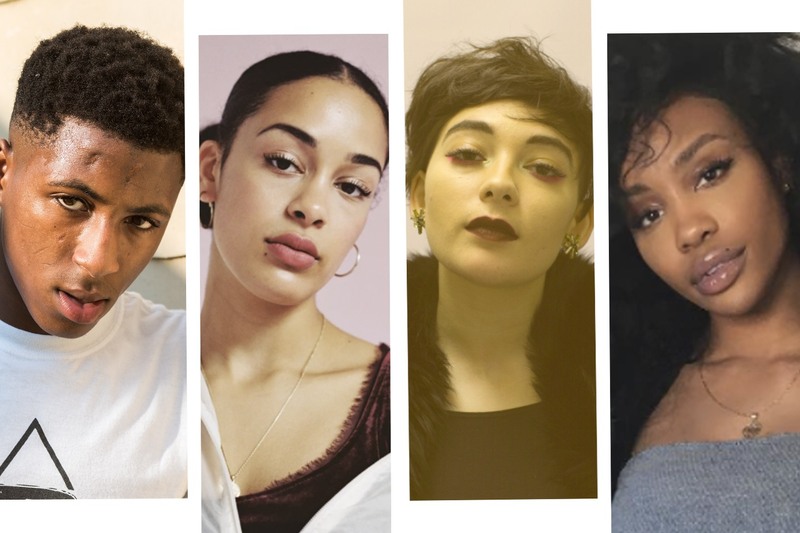 Jorja Smith was a killer songwriter even back when she was 16, which is when she wrote “Teenage Fantasy,” a soulful song about waiting for love. 7. Basically the minute NBA YoungBoy got home, he put out “Untouchable," which, in characteristic YoungBoy style, is hard and heartwarming at the same time. 8. "Thighs thick/ Thighs juicy/ Don't be jelly when my thighs shake," raps Miss Eaves on this serious body-love banger, "Thunder Thighs." Talk about an anthem. 9. Using different kinds of found sounds to create crazy percussion parts, DJ Haram's “Body Count” slams in the gentlest of ways. 10. Johannesburg duo FAKA have got it going on, especially on "Uyang'khumbula," a bumping gqom track that's beautiful and intense.